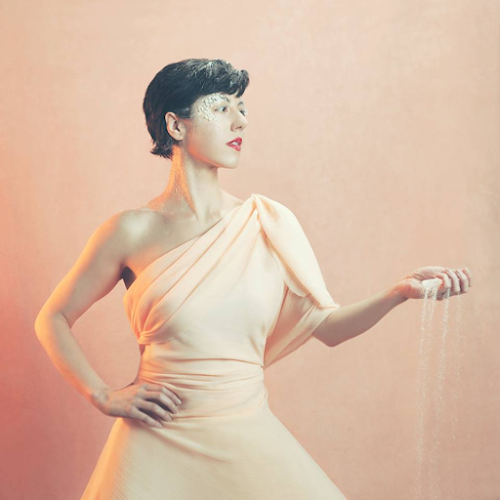 Boston-based singer/songwriter and theater actress Ruby Rose Fox has just released her new single called "American Daddy", a cinematic and soulful experimental pop masterpiece which will appear on her forthcoming sophomore album Salt, due out on June 22nd. Fox's 2016 debut album Domestic hit number 8 on the Billboard Heatseekers chart, and in 2017, she was awarded two consecutive grants from The Boston Foundation. Fox also founded The Gifted Voice Program, a program that offers children voice lessons who could not otherwise afford them. "The song came from watching the political nightmare unfold in 2017 and struggling with my relationship to patriarchy and its constant disappointments. That said, I think the song is about continuing a hopeful climb. This new political landscape feels surreal, digital, and impersonal. I wanted it to feel like it was shaking inside your body. That it is personal and real. I think if we if felt more in our actual bodies we would be better citizens and probably better lovers." To celebrate the release of Salt, Fox will be performing a multi-media one-woman musical based on the new record at OBERON in Boston on June 22nd. Tickets for the performance can still be found here. Listen to "American Daddy" below.